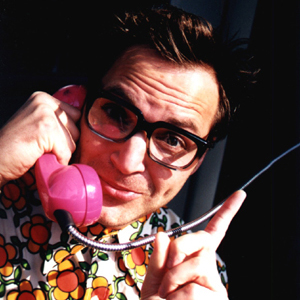 Paul Panzer is a German comedian well known for his prank phone calls. He suffers from a characteristic speech disorder and a rather slow wit, but still lets his colloquists feel that he assumes them to be a bit dumb or retarded. If the persons he calls begin to understand certain aspects of the bizarre problems he wants to bring home, he usually reacts with his representative slogan "rrrrrrrichtig" (meaning "you're rrrrrright").